Yehuda Amichai (1924-2000) was Israel's most popular poet, as well as a literary figure of international reputation. 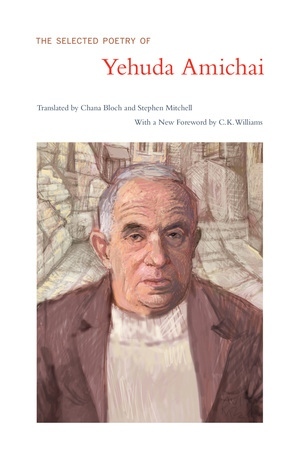 In this collection, renowned translators Chana Bloch and Stephen Mitchell have selected Amichai's most beloved poems, including forty poems from his later work. A new foreword by C.K. Williams, written especially for this edition, addresses Amichai’s enduring legacy and sets his poetry in the context of the new millennium. Yehuda Amichai (1924-2000) is widely considered the greatest contemporary Israeli poet, and a pioneering stylist in modern Hebrew. C.K. Williams is a poet, translator, and critic, and winner of the Pulizter Prize for Poetry for Repair (1999). His most recent collection is Writers Writing Dying (2012). Chana Bloch's many books include The Song of Songs: A New Translation and The Windows: New and Selected Poetry of Dahlia Ravikovitch. Stephen Mitchell's numerous translations include The Book of Job, A Book of Psalms, and Genesis.